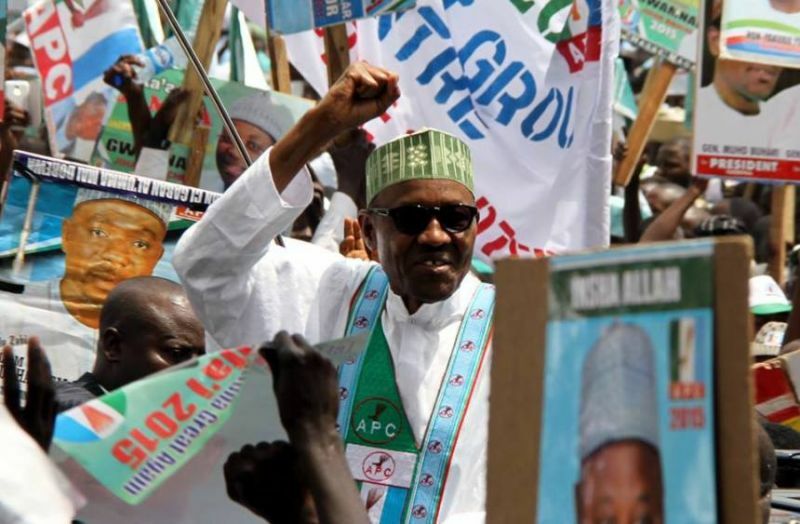 It is not news that President Muhammadu Buhari was sold to Nigerians as the only 2015 presidential election candidate capable of fighting corruption in Nigeria. Based on the official result of the 2015 Presidential election, majority of Nigerians agreed he can/should fight corruption. In essence Nigerians expect a mono agenda regime at the centre and the majority will be happy if corruption is fought and defeated. The only disagreement is with regards to where the fight should start from. Supporters of ex-President Goodluck Jonathan believe that all past regimes should be investigated and sanctioned where necessary. Whereas majority of the supporters of President Buhari will rather that the probe begins and ends with the Jonathan regime. This position which may not be unconnected with the desire of the President's supporters to retaliate their previous electoral defeats appears to be deeply rooted in malice than common sense. More so when the APC supporters campaigned on the basis of "change from 16 years of rot by PDP". Writing in his column, "musings of a common man" popular public affairs analyst, John Okiyi Kalu, agreed with those demanding a probe of the Jonathan regime. According to him "the same people who were in Jonathan's government were also in Yaradua, Obasanjo, Abdussallam, Abacha, IBB and Buhari's past and current government. If you do a good enough work with probing Jonathan's regime you will net all the corrupt actors in Nigeria's public service since 1960". He stated further in a social media comment that "even dead corrupt actors reincarnated themselves in their children who later took the reins of power and continued the massive looting of Nigeria started by their fathers and grandfathers. Probe any of the post civil war regimes and you will most likely net same people, their children and grandchildren still flying the corruption flag since independence"
While the argument on starting point for the expected probe rages, Factnewsonline is republishing this report from The News Magazine as guide to President Buhari in his anti-corruption agenda. He will need to review this and many other reports available in the public space and ensure justice is done by bringing to book anyone found to have erred. There should be no sacred cows in the fight against corruption and the corrupt must not hide under support for Buhari's election to escape from the "great anti-corruption fight of the century". On 16 May, 13 days to the end of his tenure, Obasanjo announced to the Federal Executive Council, FEC, the award of contracts worth N756 billion. That proposal sailed through the council like a greased pig in a slaughter house. 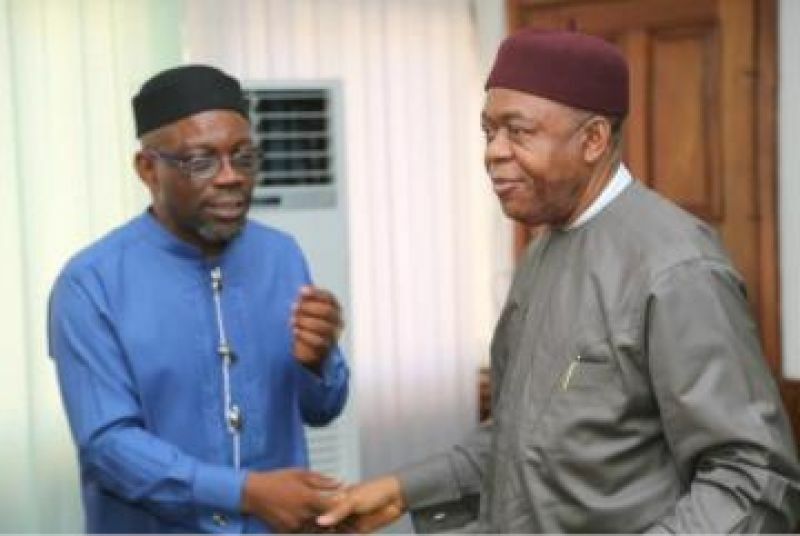 As Frank Nweke, then minister of Information, explained, N70 billion of this would be for the resuscitation of textile industries in Nigeria; N58.6 billion for the second Niger Bridge; its maintenance was to gulp N42 billion. The companies to execute the projects were not named. Three days earlier, FEC, approved N16.53 billion port harbours reconstruction in Lagos; N20 billion, expansion of the Lagos airport; N4.8 billion, building of the Securities and Exchange Commission, SEC, permanent accommodation; and N1.39 billion for the Ministry of Defence’s permanent residence for participants of War College Training Course in Abuja; N1.4 billion, conversion of steam and head for the power plants; N47.4 billion, conversion of the Alaoji Power Plant to double circuit; N3.5 billion for procurement and repair of two boilers at the Egbin Power Station in Lagos and N233 million was for fixing the Agege-Lagos Road. THE ENTIRE N850BILLION WAS EMBEZZLED! YET the same Obasanjo had the effrontery to accuse #‎GEJ of corruption among other things? And people are taking him serious? Nigeria is indeed a country filled with many people who cannot think for themselves – where everything is sacrifised at the alter of ethnicism and religion. President Obasanjo used his position to corner considerable shares of Transcorp, a blue chip company that was formed overnight to corner juicy contracts and make fat company acquisitions. It was incorporated in November 2004 and officially launched on 21 July 2005, at the Presidential Banquet Hall, State House, Abuja, with Obasanjo as the special guest of honour. The Transcorp matter was so serious that Chief Gani Fawehinmi, the human rights lawyer, dragged the former president to the Code of Conduct Bureau. He wanted Obasanjo tried over the activities of Transcorp and his shareholding in the company seized or forfeited to the federal government as provided for under item 18(2)c of the Code of Conduct for public officers contained in the fifth schedule, part 1 of the 1999 Constitution. Fawehinmi lamented that during its formal launch on Thursday 21 July 2005, Obasanjo announced some concessions to the corporation as part of government support and encouragement. These include: Licence to build a 400,000-barrel per day refinery, licence to build an independent power plant, access to the federal government cassava project for the construction of cassava processing exports facility, designed land mass for the construction of free port facilities, continued support to help open up market on the African continent and to make Transcorp a partner in Nigeria’s current policy on private/public partnership, creating additional opportunities to develop large scale projects in oil and gas, power and information and communications technology, ICT. As Fawehinmi put it, the company acquired three prime business interests from Nigeria: four oil blocks, OPL218, 219, 209 and 220 allocated to it on 21 July 2005 by Obasanjo when it was launched; Nicon-Hilton, Abuja in October 2005 for $105million and NITEL on 3 July 2006 for $750million. The lawyer noted that the Director-General of the Nigerian Stock Exchange, NSE, and Chairman of Transcorp, Dr. Ndi Okereke-Onyiuke, admitted before the House of Representatives that the former president is a subscriber to Transcorp through Obasanjo Holdings Limited. He added that, the admission by the Trustees–Elder Daniel Atsu and Barrister Lucky Egede–of Obasanjo Holdings Limited compounds the constitutional illegality of the ex-president’s involvement in Transcorp. Obasanjo Holdings Limited, the lawyer maintained, is the nominee of President Olusegun Obasanjo in Transcorp and acts on behalf of the president as a cover. When Obasanjo launched his N7 billion library project, government contractors, banks, businessmen, governors, government functionaries and hangers-on fell over one another to donate N4 billion, while the oil majors operating in Nigeria put in US$20 million. Those who donated were a consortium of banks – N622million; 36 state governors – N360million; MikeAdenuga-N250million; Aliko Dangote and friends- N200million; Femi Otedola- N200million; Nigerian Ports Authority, NPA community- US$1million; Ogun State governor-N100million; Obasanjo Holdings- N100million; Sunny Odogwu-N100million; Arisekola Alao-N100million etc. Also, Fawehinmi took Obasanjo to court, saying that he abused his office and violated the constitution because, the presence of the big donors meant he used his office to “force” out the money from the corporate organisations and those seeking one favour or the other. When he was in power, Obasanjo withdrew N2.1billion from the excess crude oil funds. That was in March 2006, when he explained that he wanted to use the money to supplement the cost of the extension of the national census. However, the former Nigerian leader failed or refused to inform the National Assembly or those who elected him into power for almost three months. It was only after the Senate Committee on Finance and Appropriation began to turn its gaze in that direction that Obasanjo wrote a letter to the House of Representatives, claiming $17,290,067 (about N2.1 billion) was withdrawn after he had convened an emergency meeting of the stakeholders–some state governors and the Revenue Mobilisation Allocation and Fiscal Commission members. Obasanjo was the first to stir the hornets’ net on this matter when he accused Vice President Atiku Abubakar of corrupt enrichment. According to the EFCC document which Obasanjo dangled with glee, Atiku was alleged to have diverted a sum of $125 million approved for the operation of the PTDF to the Equatorial Trust Bank, owned by Otunba Mike Adenuga, and Trans International Bank, TIB, which, thereafter, gave N400 million to MOFAS Shipping Company, owned by Otunba Oyewole Fasawe. EFCC also connected Adenuga’s payment of $20 million for his Globacom licence to PTDF money lodged in his bank. From October 2003, according to the document, MOFAS paid more than N500 million to Umar Pariya, Personal Assistant to the former Vice-President, while N61 million was paid by the company directly to Atiku and N60 million directly to Musa Garba, a contractor who works for Atiku’s ABTI American University. Atiku responded with a ballistic missile that threw Obasanjo off his perch. Speaking through his media aide, Garba Shehu, Atiku said that Obasanjo, his family, businesses, native community and the Peoples Democratic Party, PDP, benefited from the PTDF money. He revealed that Bodunde Adeyanju, Obasanjo’s Personal Assistant, made over 100 visits to TIB, Abuja, located at Tofa House in the Central Business District, between 1999 and 2004. “The truth of the matter is that there is a big linkage between Chief Obasanjo and Otunba Fasawe, contrary to the claims that the President has made. There are cheques worth over N100 million issued to IBAD Nigeria Limited, a construction company solely owned by Obasanjo, from Fasawe’s MOFAS TIB accounts,” Garba revealed. Shehu charged further that Fasawe made some direct payments to Obasanjo’s Africa Leadership Forum, ALF, and to the Obasanjo Campaign Organisation. “Also, a TIB Abuja branch cheque of N4 million was issued to Ibogun-Olaogun Development Association on 26th February, 2004. Ibogun-Olaogun is Obasanjo’s village,” Garba added for effect. Garba spilled the beans further, claiming that from 1999 to the elections in 2003, Adeyanju, on behalf of Obasanjo, collected over N3 billion from MOFAS account at TIB, Abuja branch. Atiku further revealed to the Senate Committee on the Fund how Obasanjo paid a staggering N250 million of PTDF money to a lawyer to register a company, Galaxy Backbone. Like a possessive, jealous husband, Obasanjo clung to the Ministry of Petroleum Resources under which is the Nigerian National Petroleum Corporation, NNPC. Chief Audu Ogbeh once told TheNEWS: “I was National Chairman of PDP for over three years. I was also honorary Special Adviser on Agriculture. Obasanjo, through his Chief of Staff, General Abdullahi Mohammed (retd. ), allegedly used the NNPC to unilaterally award contracts without regard to tender or competitive bidding. As reported by this magazine in the past, Mohammed, in a letter entitled, “Request for Revalidation of Approval for NNPC funding on the Nigerian Navy” and dated 18 August 2006, merely stated the importance of procurement of spare parts for the Navy and Obasanjo directed NNPC to award the contract. Ten days later, Mohammed approved a contract for the local refit of NN ships and procurement of spare parts at the cost of N4.63 billion. Obasanjo also wrote a letter to the then Group Managing Director, NNPC, Engineer Funso Kupolokun, asking the corporation to fund the training of 50 individuals and establish media and operational centres in Abuja, Warri and Port Harcourt for N1.19 billion. This lack of due process also manifested in the award of contracts handled by Kinetic Ltd., which supplied 193 Cobra Armoured vehicles for the Nigerian Army at the cost of $35.7 million and was paid through Bankers Guarantee No. 550-0-0446905 with Invoice No. STK/2007/088B. This contract was fixed in January 2007 by the former Chief of Army Staff, Major-General Owoye Azazi, on behalf of the Federal Government. Singapore Kinetics was, through the NNPC, given an “advance payment”of $35.7million. Falana, in his suit, alleged that from 1999 to 2007, Obasanjo had withdrawn over N1trillion unauthorised and un-appropriated by the National Assembly, from the NNPC account and the Federation Account. At the height of his civilian dictatorship, Obasanjo whimsically altered the revenue allocation arrangement so much that the 36 state governors, including those in his party, PDP, filed a suit at the Supreme Court against him on 16 September 2002. They alleged that Obasanjo acted unconstitutionally by coming up with a new revenue formula without the approval of the National Assembly. Obasanjo, in July, 2004, whimsically granted Ghana and the Republic of Sao Tome and Principe $45 million loans. It was after questions were raised that he rushed to the National Assembly. Ghana’s share of $40 million was to help it complete its part of financing of the West African Gas project while the remaining $5 million was to enable Sao Tome and Principe tackle some immediate problems. On 9 September 2005, Obasanjo wrote a letter to the Senate, requesting approval to withdraw $2.4billion from the account as the government’s counterpart fund for the Power Sector Development Scheme, PSDS, and $12.4 billion to offset Nigeria’s debt to the Paris Club. Although the Senate approved the $12.4 billion to settle the balance of the debt owed the Paris Club, it resolved that this was possible after it had been appropriated by relevant authority as required by law. But Obasanjo withdrew the $12.4 billion from the Federation Account, instead of the Consolidated Revenue Fund Account, which the upper legislative chamber recommended, and he also took $2.4 billion PSDS fund without waiting for the approval of the relevant authorities. The JDA was formally inaugurated in January 2002 to explore crude oil in the Gulf of Guinea and the strait between Nigeria and Sao Tome and Principe. According to the treaty, which would last for 45 years, with a review due after 30 years, 60 per cent of resources would be for Nigeria, while 40 per cent would be for Sao Tomé and Principe. But the Obasanjo government changed the goalpost in the middle of the match just one year after this treaty, a development that soured the relationship between the two countries. Trouble started after the 2003 first licensing round, FLR, of oil bloc awards. In 2005, the Sao Tome Attorney-General, Adelino Pereira, investigated an allegation raised by a United States of America-based major oil company on certain shady deals it said characterised the FLR awards by the JDA. The investigations were backed by the World Bank and Dobie Langenkamp, a professor of Energy at the University of Tulsa, Oklahoma, USA. According to TheNEWS’ earlier report, the protesting oil company bid substantially higher than the Nigerian companies that were eventually awarded concession. EHRC is owned by Chief Emeka Offor, a controversial politician and friend to Obasanjo. Other figures close to Obasanjo were fingered as beneficiaries of the award: Chief Anthony Anenih, now Nigerian Ports Authority chairman, who owns controlling shares in A & Harmattan Ltd., which won oil bloc 2; Godsonic Incorporated Oil and Gas, which succeeded in bloc 4; Aliko Dangote clinched bloc 3 through his company, DEER. So also did Mike Adenuga, whose Conoil won in bloc 4 . Odi, a town on the bank of the famous River Nun, popularised in one of Gabriel Okara’s poems, has a population of over 60,000. The inhabitants engage in fishing, farming, harvesting and processing of oil palm produce and trading. And it is a host community for Shell Petroleum Development Company, which controls three oil wells there. Early in November, 1999, some youths abducted and killed 14 policemen. Thereafter, Obasanjo issued a 14-day ultimatum to the government of Bayelsa State to produce the killers or he, Obasanjo, would proclaim a state of emergency. Before the expiration of this ultimatum, however, Obasanjo ordered troops into Odi and the surrounding villages. The soldiers cordoned off the East-West Road by the Orashi River at Mbiama and by the River Niger at Patani, after which they began a major military operation with the use of heavy artillery, aircraft, grenade launchers, mortar bombs and other sophisticated weapons. According to the Civil Liberties Organisation, a human rights non-governmental organisation, which visited the area after, “So ruthless, savage and thorough was the operation that it could only have been intended to achieve a genocidal outcome.” CLO added that two weeks after the operation, the stench of decomposing bodies dumped into various creeks could still be perceived one kilometre from the town. And every house in the entire community, with the exception of the First Bank, a Community Health Centre and the Anglican Church, were burnt down. Obasanjo’s transformation in this area is spectacular. Since its establishment in 1978, Obasanjo’s farm was surviving on shoe string but when he became President, the story changed. Chief Femi Fani-Kayode, a former Special Assistant to the President on Public Communications and one time Minister supervising the Ministry of Aviation, revealed that the former president’s farm was chalking in an average of N30 million a month or N360 million per year. 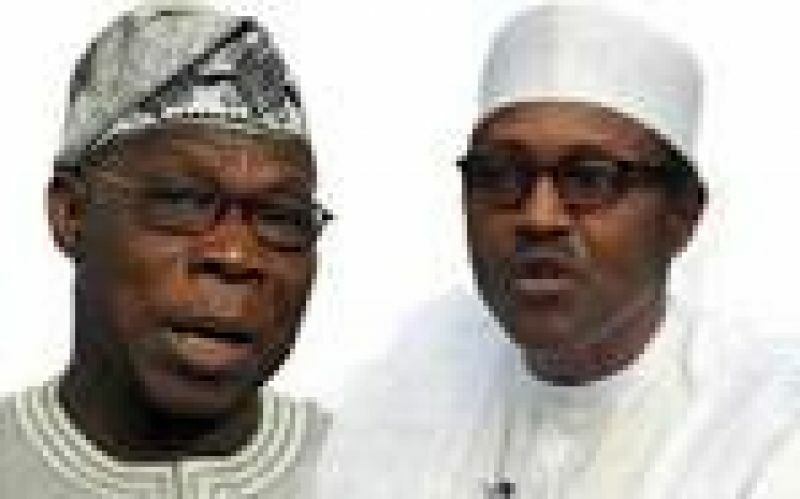 When the former president and Atiku were engaged in a political brawl, going for each other’s balls, the Atiku Campaign Organisation raised the challenge that Obasanjo should tell Nigerians how he could transform his farm, which was going under in 1999, to a multi-billion naira business octopus in 2007. The former Nigerian leader had only N20,000 in his bank account before he was voted into power, according to Malam Nasir el-Rufai, former Minister of the Federal Capital Territory. But Obasanjo’s spokesman, Uba Sani, said his principal raised a N2 billion loan for the farm. However, Atiku’s foot soldiers replied, asking Sani to tell that to the marines. They argued: “The explanation of Uba Sani has only further exposed the duplicity of General Obasanjo. Atiku’s people threw the poser: “Nigerians will be glad to know if President Obasanjo solely took a N2 billion loan from the N50 billion agriculture fund facilitated by the Federal Government when there are millions of Nigerian farmers who should access the loan, but have been crying for access since the introduction of the loan. Obasanjo laid foundation for this when, as a military head of state, he promulgated the Land Use Decree in 1978, vesting the ownership of land in the federal and state governments. Through that, Obasanjo dispossessed the people of Akpa in Badagry, Lagos State, for the building of Bells University. A protest by the villagers was crushed by the former president’s soldiers. 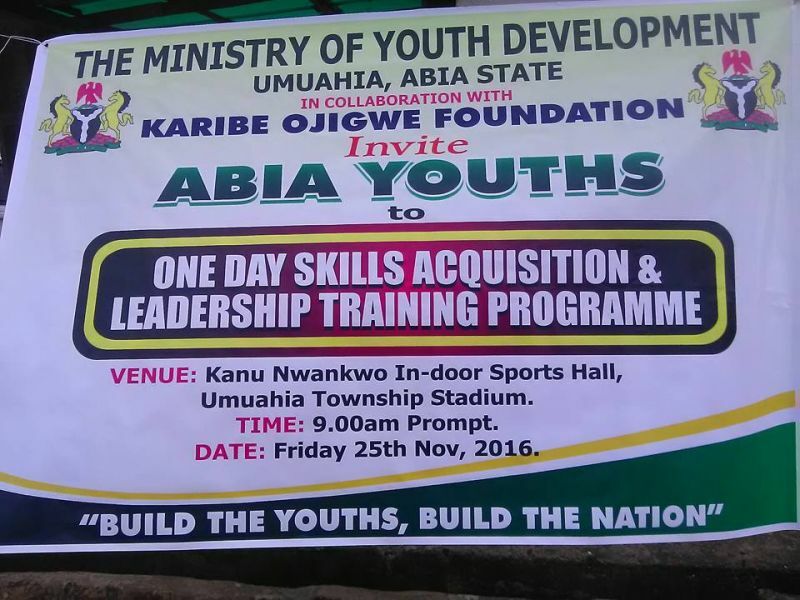 The same treatment awaited the people of Lekitaba and Gembu towns on the Mambilla Plateau. They were beaten up by policemen when they stood up against what their enlightened sons called “the Savannah leg of the expanding Obasanjo Farm.” The people of Ishasi-Akute in Ogun State and Ayetoro Itele via Ayobo in Lagos State were also given the same dose of medicine. The rest of the community went wild, almost creating another Agbekoya that OBJ went soft, saying in Yoruba: Oto l’eto, oto le’to (legal and backdoor processes are different). People of Awela near Ayetoro also lost 500 hectares of land to OBJ over 12 years ago. And in 2002, the former president acquired 250 hectares at Ajoda for teak cultivation. The former Nigerian leader turned the people of Abela, near Abeokuta, against their leaders over land. Alhaji Yusuf told TheNEWS in January 2005 that Obasanjo used his status to “give us what he likes; the family members are fighting one another instead of the land grabber himself.” Close to Iseyin, Oyo State, Jim Shina Farms offered a N250 million lease to Obasanjo’s farm for 50 years. For good measure, he made it possible that an abandoned Federal Government dam be resuscitated in order to turn this farm into the Garden of Eden. In Cross River state, the story is not different. In 2001, Obasanjo acquired 10,000 hectares from the immediate past Governor Donald Duke for oil palm estate. Also, the retired general secured an additional 5,000 hectares at Kwa Plantation and took over the government oil palm nursery in Ochong. Obasanjo’s over 100 square kilometres of land spread across nine communities in Akampa and Akpambuyi local government areas of the state. 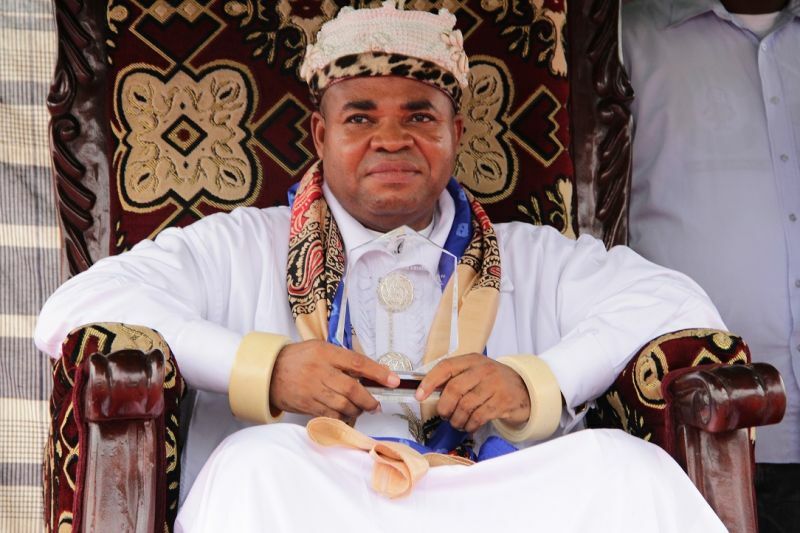 At a point, youths from Abiati, Mfamosing, Aningafe, Mbobui, Ndigane, Akonganaku and Akira Ikot, all in Akampa Local Government Area, as well as Effanga Ikot and Oyom Eneyo, challenged the former president, a development that led to the victimisation of Chief Daniel Asuquo, the chairman of Akampa Council. He lost his re-election and spent 18 months in detention on a spurious murder charge, which the court threw out in 2004. Since 2000, this magazine gathered, Obasanjo’s oil palm mill on his plantation, under the supervision of one Gilbert, a Malaysian, has been producing 10 tonnes of palm oil per day. Obasanjo poached a majority of the mill workers from the Nigerian Institute for Oil Palm Research, NIFOR, Evborneka in Edo State. 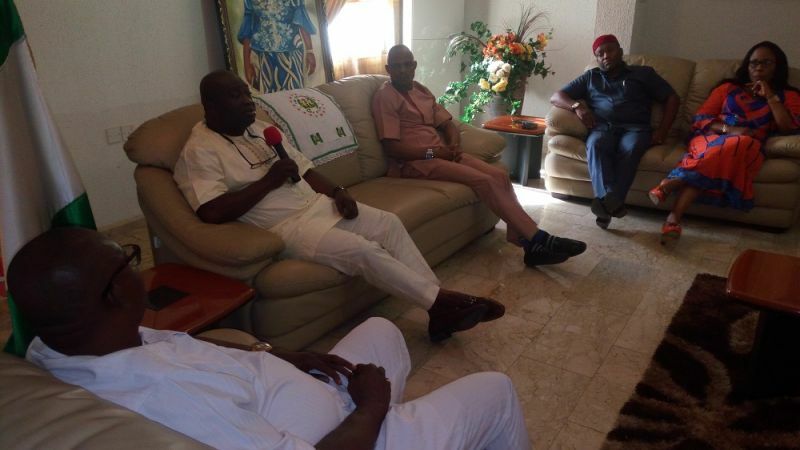 He accommodates them at Kwa Housing Estate, a former property of Calabar Sports Club on Ekorenium Road. In Rivers State, Obasanjo’s oil palm land is located at Ehuagie in Ogbo/Egbema/Ndoni Local Government Area. His two fish farms are at Ota Ahoada and Ogbo communities. He has other choice parcels of land at Omuotude area. Analysts, however, are anxious whether President Umar Yar’Adua’s plan to review the Land Use Act will affect the former Nigerian leader. Before becoming president, Obasanjo leased out his Abeokuta Owiwi Commercial Hatchery because it was almost going under. 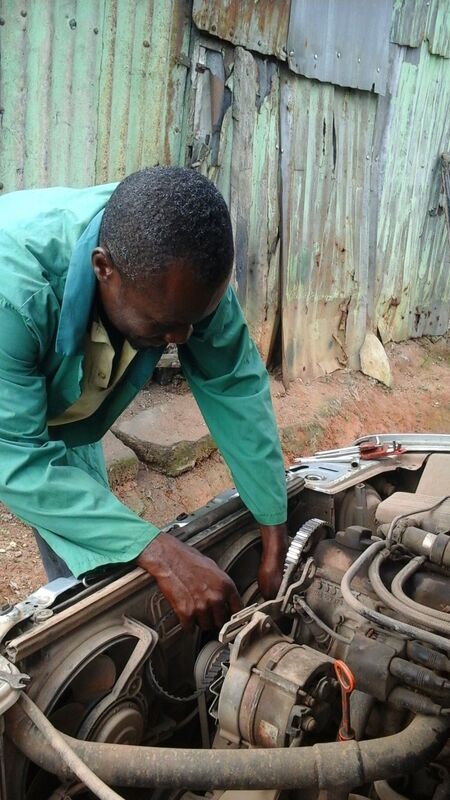 An Israeli farm, Agrited, took over his farm at Oluyole Local Government in Ibadan. From 1993 to 2004, Avian Specialities was in charge of Obasanjo’s poultry at Alomaja in Ibadan. But with a combination of greed, laws designed to favour his farm at the expense of others and other underhand tactics, Obasanjo gained a slow but steady monopoly that caught his competitors panting like a beached whale. It all started on Saturday 24 November 2004 when the management of Zartech Nigeria Limited, an agribusiness company, unwittingly invited a goat to come and inspect its barn of cocoyam! In other words, the company gave Obasanjo the honour to unveil its Tunnel Ventilation houses, a new production system. As the ceremony was going on, the former president’s mind was somewhere else. Something was taking shape in his head. He shunned the lunch with Maurice Zard, chairman of the company and skittered to his Otta farm where he lambasted his own officials for allowing the other company to outperform them. Then Obasanjo started laying his snare, first by persuading the Poultry Stakeholders Council, at a meeting, that importation of grandparent stock, a better breed of chicken, be controlled. In their communiqué, the following companies came up for licence: Zartech Nigeria Limited, Avian Specialities, Tuns Farms, Oshogbo; Obasanjo Farms, Otta; Nirrya Farms, Kaduna and S & D.
However, while the stakeholders had their say, Obasanjo had his way. He jettisoned their list and came up with four companies: Obasanjo Farms, S & D Farms, owned by his chum, Femi Coker; CHI Farms, producers of Chivita and the National Animal Production Institute, Shika, Zaria. The stakeholders did not have any stake in the new scheme! Those who had the wherewithal were not given the opportunity while weak ones had a field day. Zartech, the biggest farm in Nigeria, with the capacity to slaughter 20,000 chickens per day, was inexplicably denied the licence. The new arrangement was such that weaker farms would supply big players with grand parent stock. When the stakeholders complained to the former Agriculture Minister, Alhaji Adamu Bello, he threw his hands up in frustration. Not a company to give up easily, Zartech seized the opportunity of the inability of the National Animal Production Research Institute, NAPRI, to finance what was approved for it to import. Zartech expressed its readiness to provide the money. But when Obasanjo got wind of this, his security goons arrested Zartech’s Managing Director, Roger Adjaude and his brother, Tony, and deported them to Lebanon, their country. Dr. A Oni, NAPRI boss was also detained. Obasanjo went further to make it a crime for any foreign airline to freight the grandparent stocks to Nigeria without approval from Aso Rock. They chickened out because they knew that the former president was a mean and jealous chicken farmer. Obasanjo went a step further to make sure the stocks were intercepted at the border. With the coast clear, other farms, since then, have been buying grandparent stocks from Obasanjo’s farm. Obasanjo’s hatred for Zartech manifested when he tried to persuade the United African Company, UAC, not to lease its farm in Maya, Oyo State to it. But UAC stood its ground. Worse still, he accused Agrited of lowering prices, a practice which Obasanjo himself was guilty of. For this, his soldiers drove away the Israelis from the farm he leased to them. he companies to execute the projects were not named. Three days earlier, FEC, approved N16.53 billion port harbours reconstruction in Lagos; N20 billion, expansion of the Lagos airport; N4.8 billion, building of the Securities and Exchange Commission, SEC, permanent accommodation; and N1.39 billion for the Ministry of Defence’s permanent residence for participants of War College Training Course in Abuja; N1.4 billion, conversion of steam and head for the power plants; N47.4 billion, conversion of the Alaoji Power Plant to double circuit; N3.5 billion for procurement and repair of two boilers at the Egbin Power Station in Lagos and N233 million was for fixing the Agege-Lagos Road. Professor Daniel Saror, former Minority Leader of the Senate, told TheNEWS in 2007: “Obasanjo was dipping his hand into the Federation Account to execute many projects, including the power stations in the Niger Delta. Billions of dollars are being spent on those projects without the approval of the relevant agencies. No senator can exercise oversight function over them because nobody at the National Assembly knows about the contracts and the companies handling them. If the above contracts were rubberstamped by the FEC, it was not aware of when Malam Muhammad Habibu Aliyu, then Minister of State for Water Transportation, awarded $140 million worth of contracts for the protection of the Lagos coastline and N2.3 billion for a river port in Lokoja. The FEC neither revealed the contractor nor how the money would be raised. Worse still, Obasanjo awarded a N22 billion contract for the dualisation of the East/West Road without going through competitive tender. 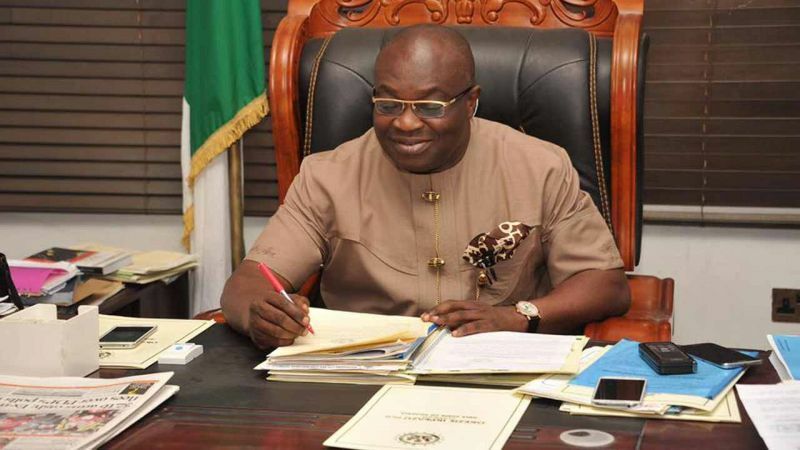 Others were the Oron-Eket Road awarded for N26.6 billion; Eket-Onne section, N29.4 billion; Onne-Kaiama section, N86 billion, Kaiama-Warri Road, N78 billion. 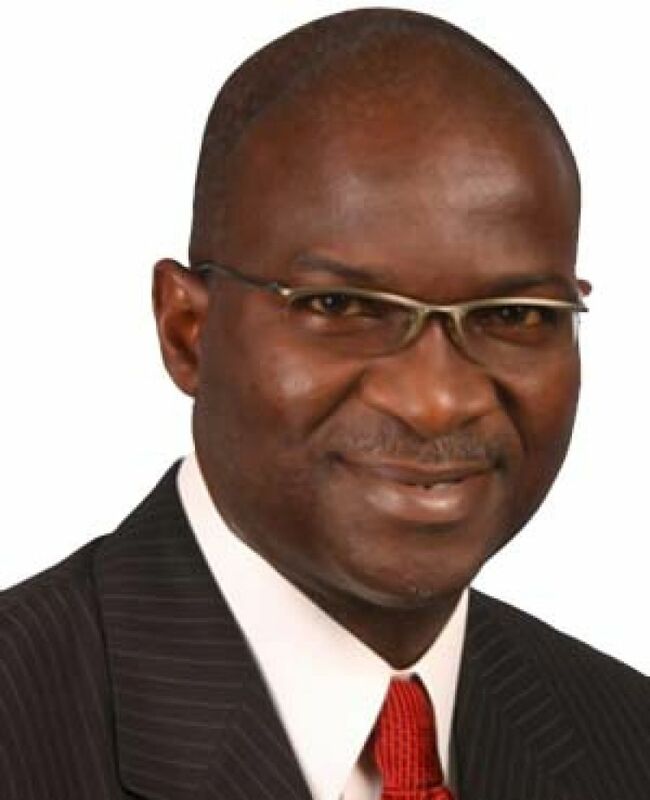 There were also the N30.3 billion contract for the building of a dam at Karhia, a suburb of the Federal Capital Territory; dualisation of Jikwoyi-Karshi Road, N7 billion; redevelopment of the popular A.Y.A. area N1.5 billion; surveying and mapping of the FCT, N162.8 million; construction of Abuja Children Resort Library, N130 million; construction of comprehensive health centres in the 774 local government areas across the country, N55 billion. The Millennium Development Goals, MDGs, fund for the development of the agricultural sector was to gulp N15 billion and replacement of dilapidated infrastructure in the education sector, N600 billion. He also committed N21.2 billion for the development of the Middle Rima Valley Irrigation Project II in Sokoto; rehabilitation of Sokoto-Talata Mafara-Gusau Road was reviewed upward to N4 billion; renovation of the Jigawa Polytechnic, N156 million; provision of amenities in border communities around the Nigeria/Niger Republic in Katsina State, N800 million. Although Frank Nweke, then Minister of Information, argued they were in order, because government is a continuum, analysts wondered that it was the same Obasanjo who, in 1999, set up the Christopher Kolade Panel to probe all transactions of the General Abudusalami Abubakar government. During a news conference last year, acting U.S. Assistant Attorney-General, Matthew Friedrich, announced that German company, Siemens AG, pleaded guilty to Foreign Corrupt Practices Act violations, one of which was bribery scandal against some Nigerian big shots. President Umar Yar’Adua, penultimate Sunday, directed all relevant security agencies to investigate it. Although Lori Weinstein, the dogged prosecutor, who pursued the case, did not reveal the names to Judge Richard Leon, she said the documents contained clues for the court to figure out who was who in the $4.5 million bribery scam over $130 million telecommunications projects between 2000 and 2001. Yar’Adua’s investigation may unravel who accepted $180,000 wristwatches. The Umar Yar’Adua government, according to analysts, should probe Obasanjo and Atiku over the Halliburton scam. It was the former Nigerian leader who started it all when he mentioned his former VP in the scandal during the controversial BBC interview. Atiku’s media aide, Garba Shehu, however, countered: “Obasanjo had said these and many more while he was in office. Yet, with all the law enforcement agencies at his disposal, he failed to establish a single case against Atiku. The scandal broke out after a French court investigated Kellog, Brown and Root, KBR, a Halliburton subsidiary, on an allegation that it paid $180m to FG officials to win contracts for the construction of the $6 billion NLNG plant. For this, Halliburton pleaded guilty and agreed to pay a fine of $579 million. According to documents on the website of the US Justice Department, Tri-Star, based in Gribraltar, and a trading company of Tokyo were respectively paid $132 million and $50 million to be passed to Nigerian officials. The EFCC, which once probed the $180m bribe scandal, interrogated Edmund Daokuru, former Minister of State in the Petroleum Ministry, and Funso Kupolokun, then the Group Managing Director, NNPC. The scam started from the General Sani Abacha years–Alhaji M.D. Yusuf and former oil minister, Dan Etete were named–and continued under Abdulsalami. Under Obasanjo, Halliburton twice paid kickbacks–in 2001, $51 million and in 2002, $37.5 million. As President, Obasanjo awarded licence for himself to establish a private university, Bells. This is in spite of what is contained in the statute books that a serving president should not engage in any business except agriculture. 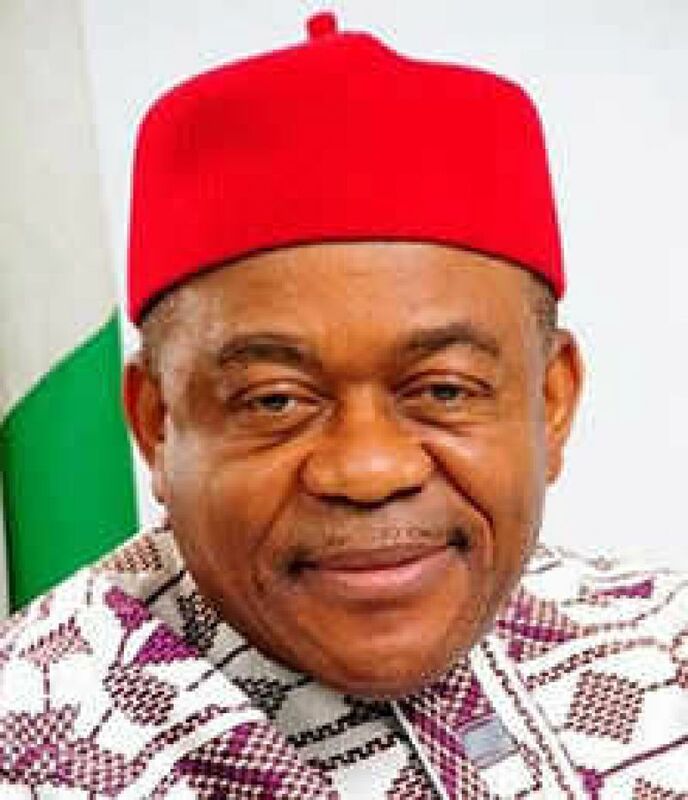 Analysts argued that it was for this reason that the former president victimised former Abia State governor, Orji Kalu, whose Slok Airline had to relocate to Gambia. Though supporters of Obasanjo claimed that he ran his companies through blind trusts, but watchers of the government are of the view that he used his influence to the advantage of such ventures. As petroleum minister, Obasanjo did not account for oil sales. For this reason and more, Femi Falana, the human rights lawyer, dragged the former president to a Federal High Court, Abuja. Falana charged that between 2000 and 2006, Nigeria lost over $13 billion unaccounted revenue. “A thorough investigation will crack the secrecy and reveal the wanton billions of dollars that had vanished from the sales book,” Falana maintained. He also wants the court to question OBJ on how he spent over $1billion between 1999 and 2006 for the rehabilitation of the Port Harcourt and Kaduna refineries, all of which are not working. “On this score, we have since confirmed that more than $700million was misappropriated to enrich Chief Olusegun Obasanjo and his cronies and to fund his political party, the People Democratic Party, PDP,” Falana alleged, adding that in the end Obasanjo sold off the refineries as scraps. A can of worms was opened by Hamman Tukur, Chairman Revenue Mobilisation Allocation and Fiscal Commission (RMAFC) when he called President Umaru Musa Yar’ Adua in August 2007. Tukur, as the writer puts it, revealed that NNPC lifts 445,000 barrels of crude oil every day for domestic refining but it sells most of these to refineries outside the country, especially because our refineries are not operating at full capacity. The critic maintained further that there is also the need to question the rationale of the NNPC being supplied 450,000 barrels of crude oil a day when the refineries when functioning at full capacity can only refine 300,000 barrels a day. The refining capacity of the refineries during the period under review has further plunged to 150,000 barrels per day from 250,000 barrels per day in 1999, yet 450,000 barrels were daily supplied to it. In his calculation, Okoi-Uyouyo said that in 2001, when the local allocation was increased, crude oil was selling at N35per barrel in the international market. “The price NNPC was paying is $18 per barrel for an excess 300,000 barrels it could not refine. A profit of $5,100,000 was earned daily from this transaction. The crude oil was paid for in naira by the NNPC. 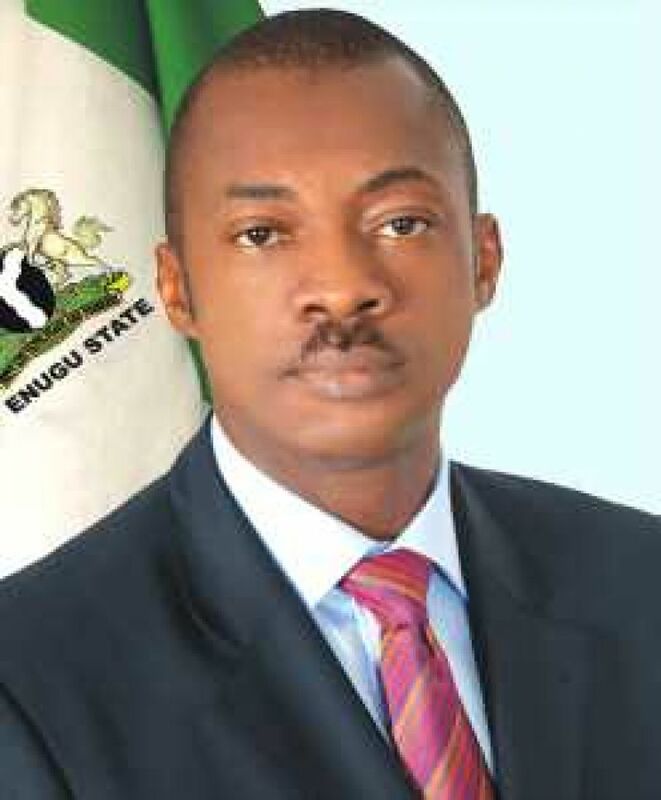 According to a survey contained in Mathias Okoi-Uyonyo’s book, EFCC and the New Imperialism, the Privatisation programme under Obasanjo was implemented in a “manner that handed over these public assets at ridiculously low prices to people alleged to be his business associates or that of his family members. Typical examples were his Nigerian Telecommunications and Ajaokuta Steel Complex.” On NITEL, Falana has an axe to grind with OBJ. The Investors International Limited, ILL, of London is, as the lawyer explained, owned by Chief Olusegun Obasanjo’s cronies and was “induced into buying up NITEL”. First Bank, therefore, as the lawyer said, lent $100million to ILL, which the company paid as part of the required 10 per cent deposit to Bureau of Public Enterprises, BPE, in lieu of NITEL shares. Questions were raised on the loan because it breached the Bank and Other Financial Institution Act, BOFIA, 1991, which states that no bank can give a loan to a single client in excess of 35 per cent of the value of its shareholders’ fund. But Obasanjo, as Falana alleged, withdrew $100 million from the Federation Account without appropriation by the National Assembly to offset NITEL’s indebtedness to the bank, just before the auction took place. Obasanjo also has questions to answer on the Aluminum Smelter Company of Nigeria, ALSCON, Ajaokuta Steel Company, Hilton Hotel, NICON Insurance plc, Federal Government houses and others. For Obasanjo, therefore, to say to the international community that he is clean, analysts conclude, he was playing the ostrich. To them, his backside is exposed to the wind, desert wind! Abiriba women mark 2014 Women’s Day.